1) On Wednesday, the FDA issued the third edition of its Substantial Equivalence FAQ Guidance document. This new edition has been revised to reflect the decision that a modification to an existing product’s label does not result in a new tobacco product. As you may recall, back in August, U.S. District Judge Amit Mehta ruled a tobacco product shouldn’t be considered new—and therefore re-subject to FDA approval—simply because its label changes. “The ruling comes in a lawsuit filed last year by subsidiaries of Imperial Brands, Reynolds American Inc., and Altria Group over FDA guidelines clarifying what changes to a tobacco product require regulatory approval under the 2009 Tobacco Control Act, which gave the FDA authority to regulate tobacco products,” reported Reuters. 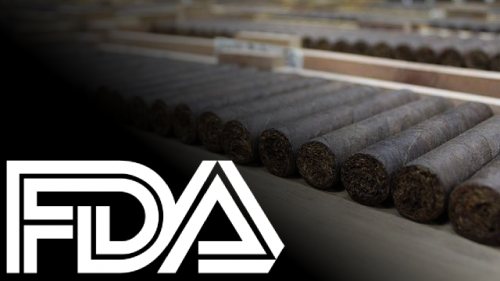 The lawsuit specifically challenged how the Tobacco Control Act was being applied to cigarettes, but has significant implications for how the agency can apply its rules to cigars. 2) Cigar Aficionado has named the La Flor Dominicana Andalusian Bull its number one cigar of 2016. “First impressions are bold and savory with strong notes of hickory and leather,” according to the magazine. “But it continues to take on a complex spiciness of saffron and cumin as well as a slight tangy note that brings the strength and spice together quite gracefully—and it only gets better with every puff.” Rocky Patel, Partagas Serie E No. 2 (Cuban), E.P. Carrillo, Padrón, Arturo Fuente, Drew Estate, Oliva, Hoyo de Monterrrey Epicure No. 2 (Cuban), and Punch also grabbed spots in the top ten. Love it or hate it, there’s no denying this annual best-of list has a measurable industry impact. 5) From the Archives: When you’ve been exploring and writing about cigars as long as we have (StogieGuys.com has been publishing for over a decade), not a lot of topics have gone untouched. Case in point: Stogie Guys Cigar University is a curated reference that provides easy access to coverage ranging from how to select a cigar to building a humidor. 6) Deal of the Week: Need a last-minute holiday gift? We recommend Bespoke Post, a monthly collection of awesome items delivered to your door for just $45. Past boxes include fine bar accessories, shaving kits, coffee, and more. You can skip or purchase every month. Currently available is “Churchill,” a box featuring four E.P. Carrillo cigars (including one exclusive blend), a reclaimed wood ashtray that doubles as a candle holder, a smoke-eating candle, cedar spills for lighting your cigar, and a cutter. Click here to sign up today.